Current therapies for MS reduce the frequency of relapses by modulating adaptive immune responses but fail to limit the irreversible neurodegeneration driving progressive disability. Experimental autoimmune encephalomyelitis (EAE) in Biozzi ABH mice recapitulates clinical features of MS including relapsing-remitting episodes and secondary-progressive disability. To address the contribution of recurrent inflammatory events and ageing as factors that amplify progressive neurological disease, we examined EAE in 8-12 weeks and 12 months old ABH mice. Compared to the relapsing-remitting (RREAE) and secondary progressive EAE (SPEAE) observed in young mice, old mice developed progressive disease from onset (PEAE) associated with pronounced axonal damage and increased numbers of CD3+ T cells and microglia/macrophages, but not B cells. While the clinical neurological features of PEAE and SPEAE were comparable, the pathology was distinct. SPEAE was associated with significantly reduced perivascular infiltrates and T-cell numbers in the CNS as compared to PEAE and the acute phase of RREAE. In contrast to perivascular infiltrates that declined during progression from RREAE into SPEAE, the numbers of microglia clusters remained constant. Similar to what is observed during MS, the microglia clusters emerging during EAE were associated with axonal damage and oligodendrocytes expressing HspB5, but not lymphocytes. Taken together, our data reveal that the course of EAE is dependent on the age of the mice. Younger mice show a relapsing remitting phase followed by progressive disease, while old mice immediately show progression. This indicates that recurrent episodes of inflammation in the CNS, as well as age contributes to progressive neurological disease. Is there anything different between PPMS and SPMS? I would argue not really and they are both part of the same spectrum but one thing that is common is age. Whilst people with RRMS may be diagnosed at about 25 years of age SPMS does not occur until about 35 years of age and that is about the same age as people developing PPMS. So they miss out on the RRMS phase or do people have subclinical relapses before progressive disease develops. So in this paper it is clear that age can have an impact of when progression kicks in. 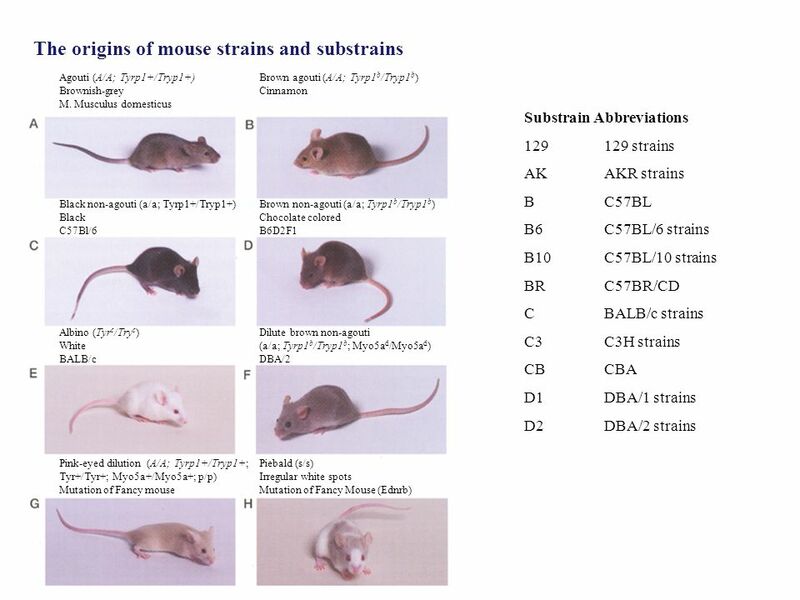 Young mice of the Biozzi strain (A Brazilian scientist working in Paris who was studying immune regulation of the antibody response where some strains produce high amounts of antibody (ABH=Antibody High) develop relapsing remitting disease and after 2-4 attacks develop secondary progressive disease, which does not respond to immune suppression that stops relapses. These relapses are caused by immune attack (T & B cells) and these disappear as relapses stop and progressive disease kicks in which is associated with an activated glial response. Anyway do the same thing in a middle age mouse and they do not tolerate the attack and progression kicks in after one single attack. So it says the age of the nervous system may have an influence on whether progression kicks in. I know that you will say that some old people get MS and have RRMS and likewise some young people go straight to PPMS but we are generalising This says age is a risk factor of PPEAE and confirms what we believe in MS.In the animals getting progressive disease, they had a few more immune cells hanging around. If you waited for 4-6 months like we did for the SPMS beasties, I bet they would be gone just as occurs in the secondary progressive disease but Doctor Love didn’t wait that long. We believe also that black people and males are more likely to develop PPMS than white females. It is also the case that male ABH mice are more likely to go progressive earlier than female mice. This is also the case with C57BL/6 mice = C57 Black six mice which get chronically paralysed and develop progression from the first episode of disease. These are black mice compared to ABH mice which are white (albino) mice that relapse. This actually has nothing to do with skin colour, it is because the genetics of the C57BL/6 mice cause them to react to a certain bit of a myelin protein and is unrelated to the genes that control skin colour. If you induce EAE with the myelin that induces chronic progressive disease in C57BL/6 mice it also does the same in ABH mice, but if you sensitize them to a different bit of the same myelin protein they get relapsing remitting disease so the form of the immune response can make a difference too. What is really interesting is if you sensitize the mice to the whole protein most get relapsing remitting disease but a few get progressive disease and if you then check their antibody responses the mice respond to the bit of the myelin protein that induces the progresive disease. This has answered so many questions I've had about EAE models. Great post. What characteristics of the aged CNS lead to progressive disease do you think? I wish I knew there are some guesses to be had but data is what is needed. I had an application on this aspect and it was selected to go forward, but have messed up on an email I did not see….gutted. Really gutted……put back a year for missing an email…… I can only blame myself…..what a t***t I am. You say that there is no difference between RRMS and SPMS, they are both part of the MS spectrum, yet the pathology is marked by less perivascular lymphocyte infiltrates in the SPMS lesion compared to RRMS lesions. Activated glia seems to be driving progressive disease yet treatments for patients with SPMS still focus on targeting lymphocytes. Are there any benefits in using current MS treatments in SPMS? Yes there are clinical benefits to be had but the suppliers may say it is not cost effective. I think we had done the lymphocyte is progressive ms in so many ways and perhaps the ultimate is myoablative HSCT is the ultimate. We should look at why this fails in SPMS/PPMS was it that the treatment was not good enough was it that the immune system was left in the brain untouched or do we need something in addition to dealing with the lymphocyte. Is it just easier and more lucrative to make T and B cell therapies? Why the apparent glacial progress in treatments specific to progressive MS? The apparent reluctance to let go of the idea that B/T cell therapies will fix it? Perhaps I'm badly informed. If so – hands up, I surrender, sorry. At the moment these therapies are the ones being approved, being used and generating profits so the, I suppose understandable, motivation is to jump onto the bandwagon. What is clear though is that in many cases this will not be good enough. Being more interested in neuroprotective therapies and showing experimentally these agents can have a profound effect in saving nerves, I too am profoundly frustrated at the glacial pace in getting these sort of agents to pwMS but you can be assured, once one is approved and seen to be effective and making money, once again many will be leaping onto the bandwagon. That sounds very reassuringly sensible and wise. Gives me more hope – that researchers such as you will make the breakthrough sometime soon. If we could get pharma to properly engage with this it would be a lot sooner but they seem to be sitting on their hands. Perhaps any of our regular pharma readers may care to clarify/comment, you can use a pseudonym! Perhaps we can tempt them to engage with a free mug or something? With the slogan "Knight in Shining Pharma" on it? But then that would cause females, and white, has more than RRMS and black males, who seem to have more PPMS, since the gene which regulates myelin is possibly not related to skin color? Thank you for focusing on the aging process as it interacts with MS. Both MS and aging are progressive conditions. It makes the ability to distinguish, as one ages, which condition is responsible for which symptom an interesting challenge. I look forward to your addressing this on an ongoing basis.